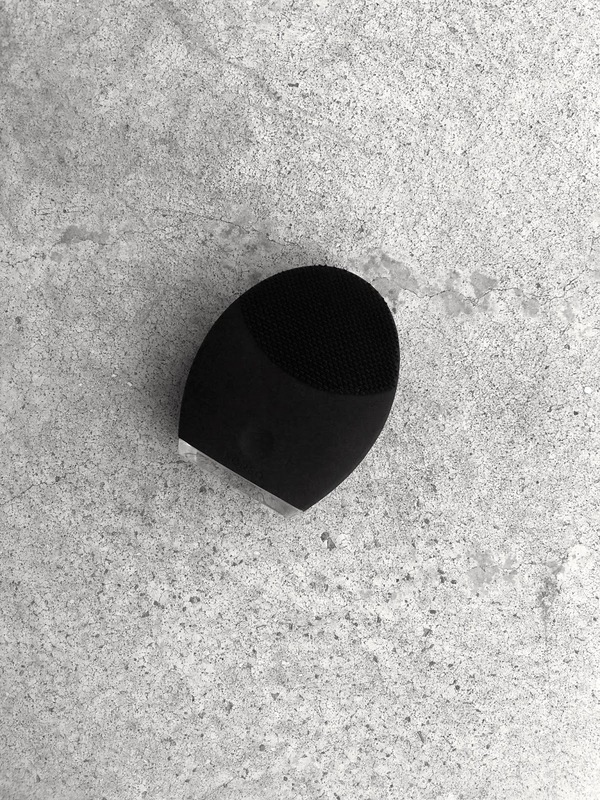 Review: Foreo Luna 2 For Men. After many years of personally using skincare products and working in the beauty industry I have come to the realization that cleansing really is the most important step in a beauty routine, when your skin has been properly cleansed the products you use thereafter absorb better and therefore they work to their best ability. One thing that has made a huge difference to my cleansing routine is using a cleansing device, the latest one that I have been trialing is the the Luna 2 For Men by Foreo. The device works to draw out dead skin, dirt and unclogs pores which is a real bonus when it comes to shaving as it helps to make way for a closer shave and lessens the chance of razor burn or any irritation that is normally associated with shaving. I find that with my skin it can get congested easily, when I use this device I notice my skin is a lot clearer, smoother and the products I use absorb better. The Foreo Luna 2 For Men is really easy to use, I just wet my face and the device, apply a cleanser to my skin and massage the device in circular motions around my face. I use it in the shower in the mornings and at the basin at night. *The brand recommends not to use silicone based, clay or exfoliating cleansers with the device as it may damage the silicone touch points. As someone who is leaning into their late-twenties, ageing has definitely become a concern for me, the reverse side of this device uses lower-frequency pulsations which work to reduce fine lines and firm the skin. To have both features in one device is ideal for me as I know my skin is getting a deep clean but at the same time I am starting to focus on areas of concern when it comes to lines and wrinkles. When it comes to traveling the Luna 2 For Men is a godsend, the charger that comes inside the box is a USB cable which I can just easily plug into my laptop, I have also noticed a lot more hotel rooms now have USB plugs which makes it even easier for me to charge my device. The Foreo Luna 2 For Men is available at The Shaver Shop. *The product mentioned in this post have been given to me by the brand /PR, As always the review is 100% my honest opinion on the product. Every single product that I mention on the site has been personally tested by me and these are my genuine thoughts on the product.